All this being said, there are still drawbacks to being self-employed. One of these is that unless you think ahead and set up your own personal self-employed pension, you’ll be relying wholly on the state to look after you once you reach retirement age and with the current state of the public finances in the UK, that’s not a concept I feel entirely confident with. This is why I feel that self-employed people need to think long and hard about their pension arrangements. If you are self-employed and are worried about your financial future, then, it is time to stop putting off saving for retirement and to deal with the situation head on. What’s in Store If You Don’t Plan Ahead? 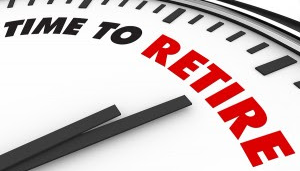 If you don’t plan ahead for your retirement as a self-employed person then there is only really one outcome in store, and this is that you are going to be completely reliant on the state pension or any other government help that might be on offer at the time to make it through your retirement years. Instead of being able to enjoy the years of later life when you can finally down tools and be free from financial worry, you could instead spend these – potentially great – years of your life worrying about how long you can leave the heating on for each day, or whether you can afford to get the care that you so desperately need. I’m really not trying to scaremonger here, I myself am a self-employed person and these are precisely the things that I worry about and wish to avoid! If you also want to avoid this scenario then as a self-employed person, you need to give serious thought as to how you are going to set yourself up for retirement and how to set up your own personal pension. How to Set up Your Own Self-Employed Pension? So, now that we’ve established why it’s so important for self-employed people to consider their pension arrangements, you may be wondering ‘how can I set up my own personal pension as a self-employed person?’. Well, the good news is that this is not as difficult as you might think. There are various ways that you could think about saving for retirement when self-employed, including investing through a stocks and shares ISA, setting up a SIPP (Self-Invested Personal Pension) or you may also wish to look into personal or stakeholder pensions. Lifestyle Benefits Now, and in the Future! The thing we want you to take away from this post is that while self-employment can bring huge benefits to your current lifestyle, if you don’t take seriously the importance or sorting out your pension arrangements, this could have a serious impact on the standard of living that you have during your later retirement years. If you do take the time to set up a self-employed pension, however, then it is very realistic that you could enjoy all of the benefits that self-employment brings right now, while at the same time resting easy knowing that your later years are going to offer you the very same financial and lifestyle freedoms that you enjoy right now, without having to rely on others. Are The Self Employed Less Credit Worthy?